If you are planning to explore an adventurous yet amazing place, give your life the right direction – choose Sundarban. The place offers amazing things that you can even think of. The luxury of sailing around the dense jungle is just not for everyone. If you are an avid adventure lover and if you are passionate about your love for travelling, Sundaban is just the right choice. The blackish river water around you with wild reptiles and animals in and out of the water is really something to have enough Goosebumps. Let’s have a quick look at some amazing yet unknown facts about the greatest delta forest. • Largest Mangrove – This is the largest mangrove forest in the world. The key reason behind of this abundant growth of mangrove vegetation is nothing but the salty coastal water around the islands. Salty water stimulates the growth of mangrove shrubbery. • Largest Delta – This great archipelago (a group of islands) boasts the largest deltaic forest in the world. It is often known as the green delta or Bengal Delta formed by the merger of two rivers – the Ganga and the Brahmaputra. The entire area is spread out in about 1330 square kilometer in India which constitutes only around 40% of the total delta. The rest part lies in Bangladesh. This mangrove, the only natural zone in the country to celebrate, was awarded as UNESCO World Heritage Site. The entire are of Sundarban – 4000 square kilometer - consists 102 islands amongst which only 54 are habitable while the rest are fully occupied by the impenetrable forest. • Transportation – Before you opt for a Sundarban Tour Package, get informed that the main means of transportation in Sundarban is through the rivers. The place stands out to be the biggest tangle of mangrove wetland in Asia. Since transportation is done only through the waterways, it would be good to avoid visiting the place during monsoon. The best time to explore Sundarban is between September and March. • Home to the Great Royal Bengal Tiger – This dense, evergreen, tropical delta forest is the most comfortable home to the fiery yet majestic Royal Bengal Tigers. The tiger reserve in Sundarban is known to be the abode to the largest number of tigers in the world. • Tidal Facts – Twice a day, the delta forest experiences high and low tides. During high tide, the water level rises around 6 to 10 feet while during the low tide, you can see vast mud land area lying flat. If you want to enjoy the wildlife, high tides are the best time for the boats to get into every nook and cranny of the forest to get a view of its treasure trove of wild animals. • Widow Village – There is a small village in Sundarban known as Widow Village. 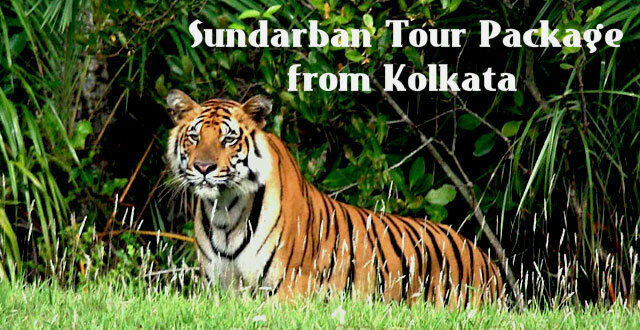 Your tour operator operating Sundarban tour package from Kolkata is likely to tell you about this village. The reason for such nomenclature is the tigers. Most families in this village have at least one family member killed by the man eaters of Sundarban. These are some of the uncommon facts to know about Sundarban.